The Francisco Grande Stadium was really quite simple as you can see from these shots. It was 3 sets of bleacher stands that were joined by a walk-around causeway. Here many of the great Hall of Fame Giants would play the early part of their Arizona based exhibition games as well as nearly all of their pre-season "training" before heading to the Pacific Coast to play at Seals Stadium and eventually... Candlestick Park. 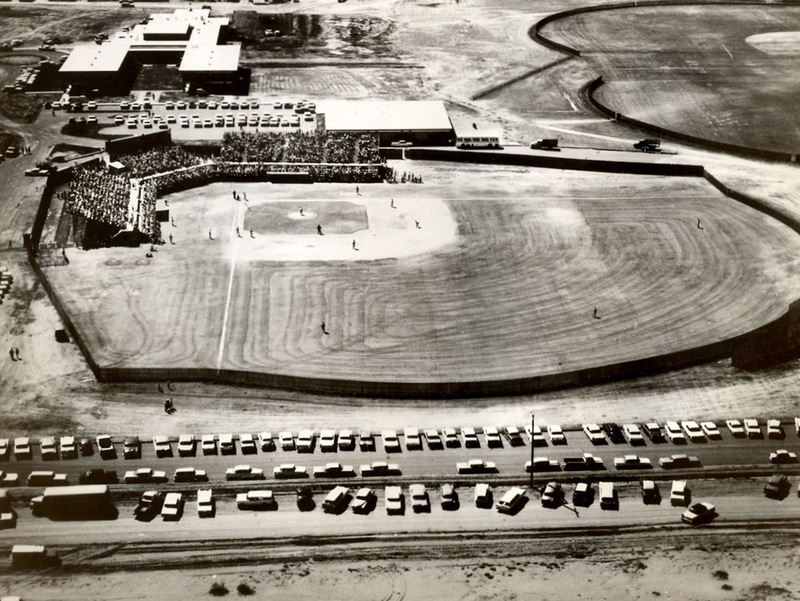 In the time that baseball was gone, many of the most famous of Arizona's residents would come to Francisco Grande to relax in the baseball themed atmosphere. John Wayne himself would hold his thanksgiving dinners every year in the hotel restaurant.